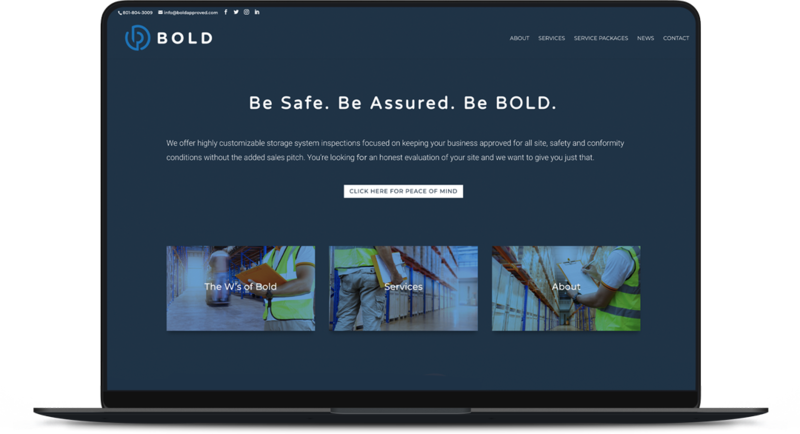 Bold offers highly customizable storage system inspections focused on keeping your business approved for all site, safety and conformity conditions without the added sales pitch. New website for BOLD, a progressive material handling firm with customized inspection services and training programs. Create a one-page anchored navigation website for a brand new company in they complex industrial racking industry that is clear in its presentation and tell the full story of what they do as a business.